The main challenge facing the oil industry is to reduce development costs while accelerating recovery with maximizing reserves. One of the key enabling technologies in this area is intelligent well completions. Intelligent Well Technology (IWT) is a relatively new technology that has been adopted by many operators in recent years to improve oil and gas recovery. In spite of advancement in intelligent well technology, the effect of intelligent well on different well configuration, reservoir characterization, and production mechanisms have not been well addressed. Production mechanisms have different effects on reservoir unwanted fluid production and by using intelligent well technology, the unwanted fluid production can be controlled. Because of the different effect of production mechanisms on reservoir performance, different intelligent well configurations have to be applied. The aim of this paper is to reduce unwanted fluid production. The results of this paper can be used for reservoir development planning. IWT is typically used in the petroleum industry to maximize reservoir production time. While IWT can be used to reduce water/gas cumulative production. 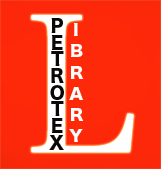 By using Petrel RE software, conceptual models of oil reservoirs are built. IWT is applied to models that were built with Petrel Re software. The results of this thesis show that IWT has great effect on reduction of cumulative water production in reservoirs with water drive and combination drive mechanisms. IWT reduced cumulative water production about 37.91% in heterogeneous reservoir with combination drive mechanism.